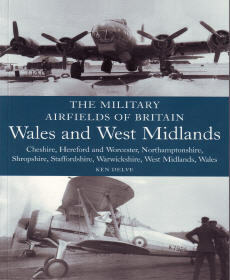 This book, covering Wales plus seven English countries, presents sites that represent a diverse military aviation history, though it is true to say that there are few airfields among them that have ‘grabbed the imagination’ of historians. But this is a skewed view of a region that made a major contribution to World War II, largely through the flying training bases that were dotted throughout the area. This was not the sum total of this region’s contribution, however, and the West also played host to numerous aircraft manufacturing or repair facilities and also had its share of operational airfields, covering all the major roles. 352 pgs w/index, SB, 6.50 x 9.25, b&w photographs.